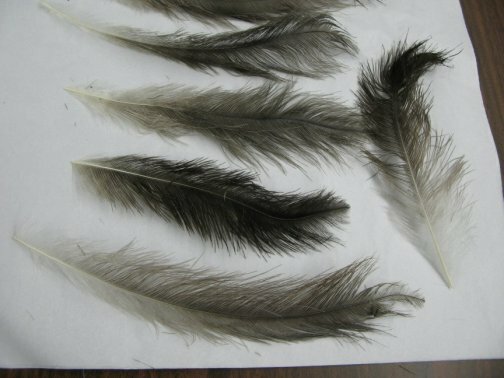 We maintain an inventory of hundreds of feathers from white and grey rhea. 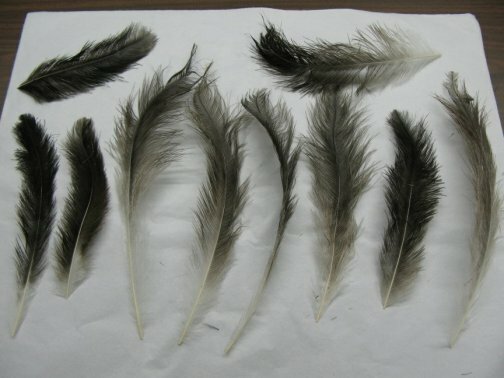 Most of our feathers are clipped directly from the birds to ensure the best quality and color. 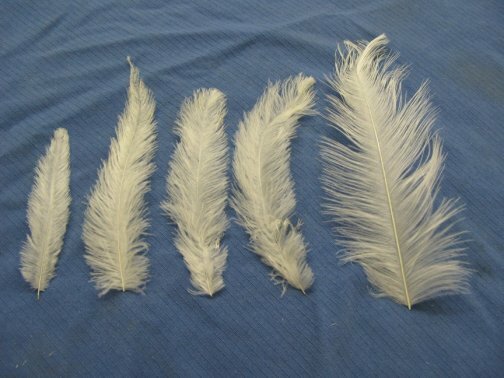 Feather prices depend on type, quantity desired, and size. 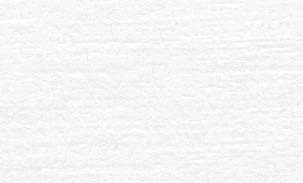 Please inquire for price information. 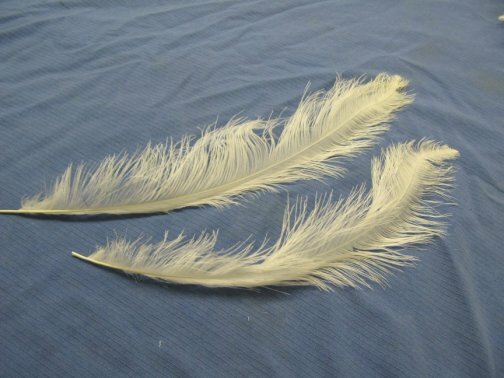 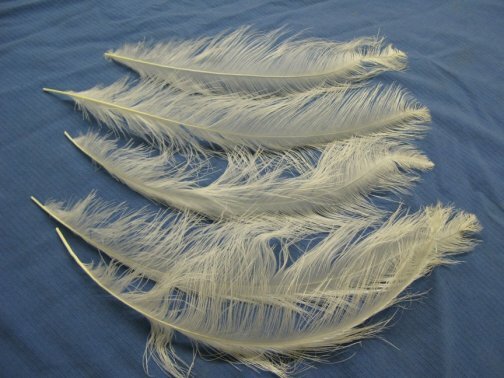 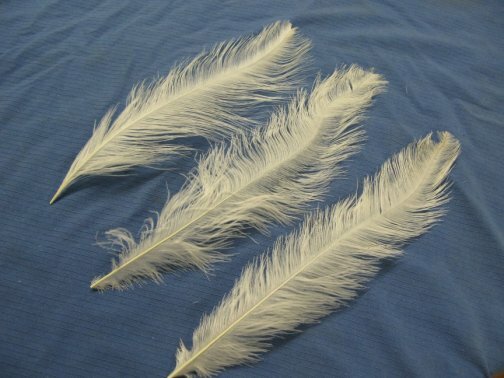 White rhea feathers of all types have a wide variety of uses since they readily accept dyes. 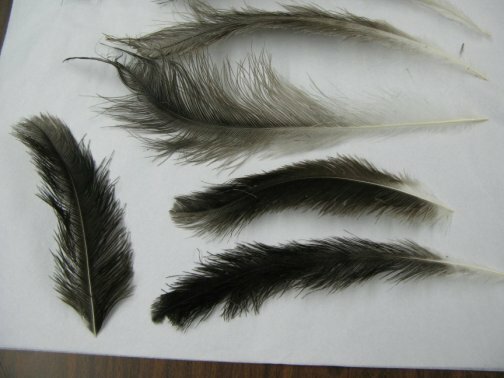 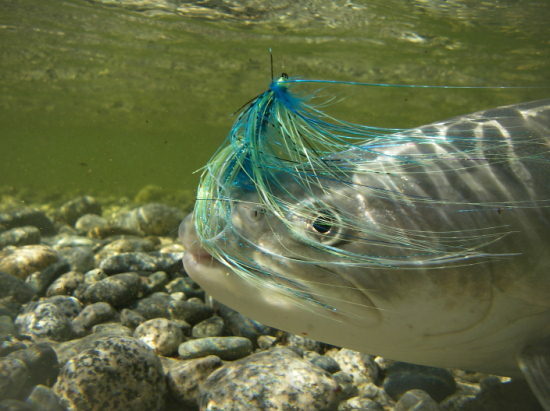 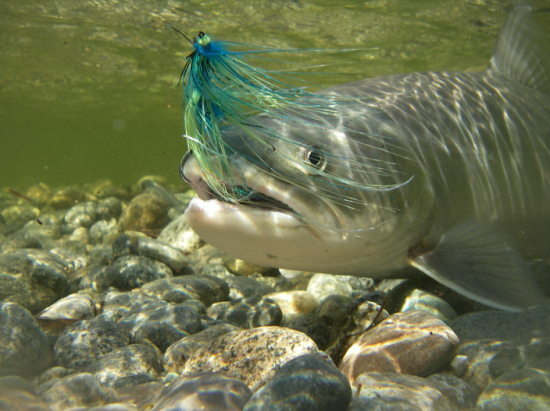 Some examples are fishing lures, hat plumes, feather dusters, and cat toys. 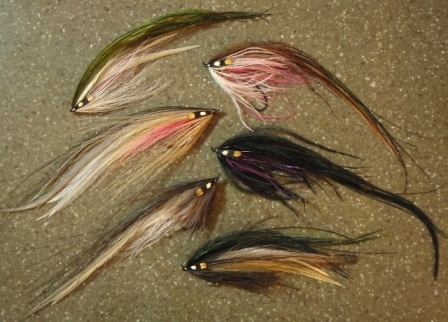 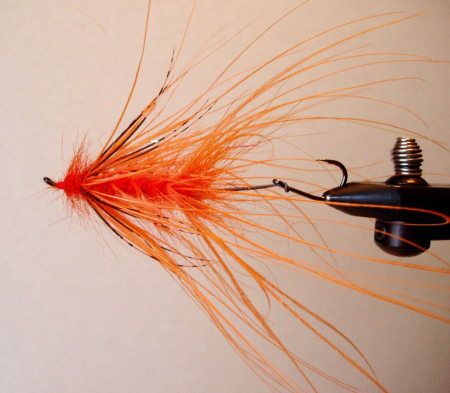 Shown below are a few examples of fishing flys & lures that have been tied with our feathers. 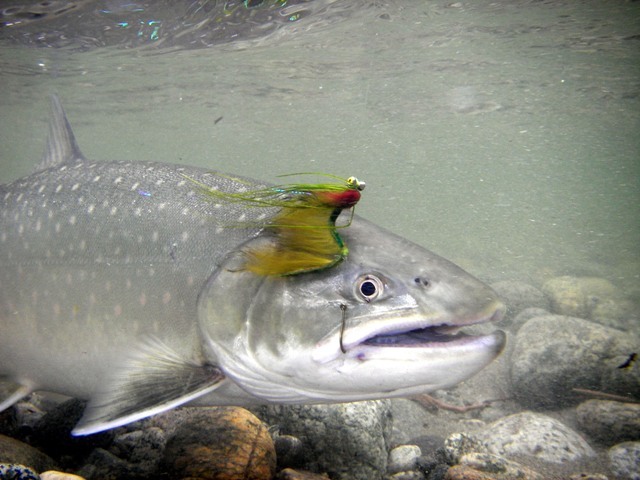 Satu Susimaki of Upstream Adventures, Inc.